Our primary service area is around Lake DuBay in central Wisconsin (about half way between Stevens Point and Wausau). One of the original club projects was to renovate an abandoned wayside on a former section of Highway 51, located on the shoreline of Lake DuBay, into a community park. This park remains a centerpiece of many club and community activities. Many other activities keep the club busy throughout the year. Our annual Summerfest in mid-July is the primary fund raiser for the year. 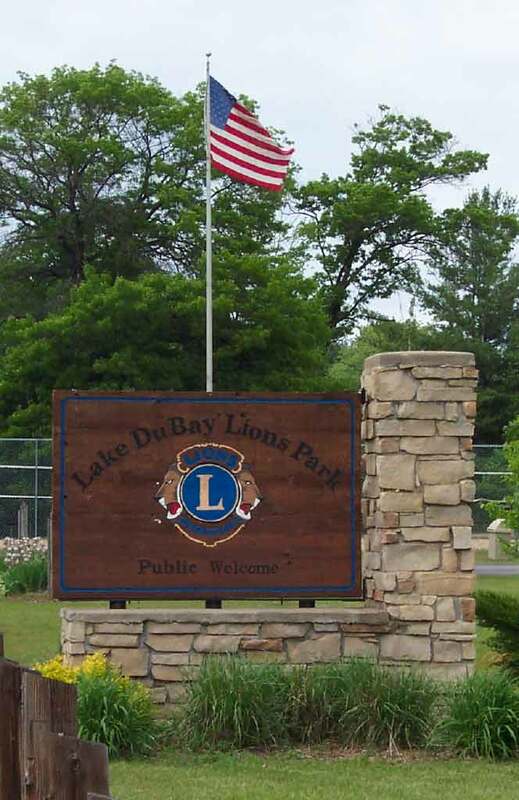 The Lions Club of Lake DuBay formed in November of 1980, having its official Charter, sponsored by the Plover-Whiting Lions club, in February of 1981.